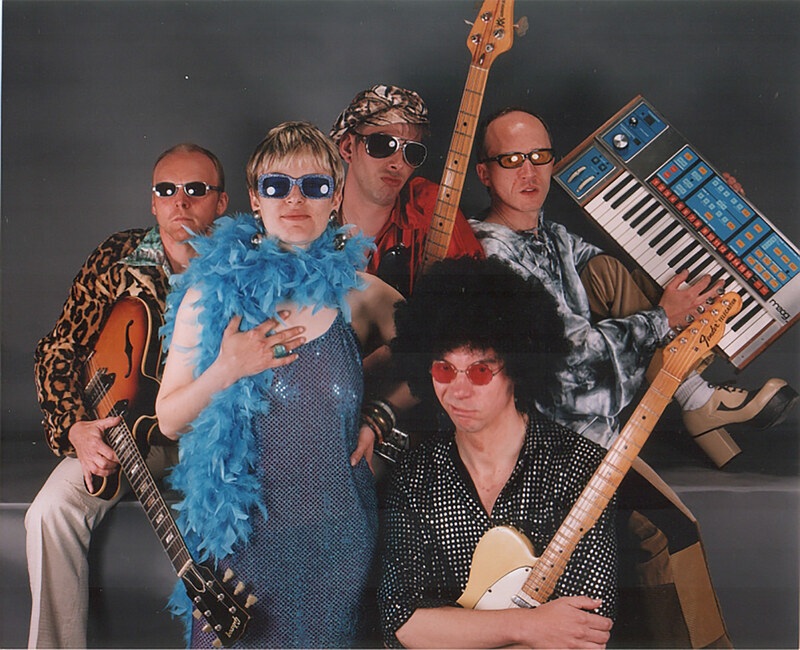 Funk Machine is a four piece band that performs all of the best dance tracks from the ’70s to the present day with energy, commitment, verve and style. 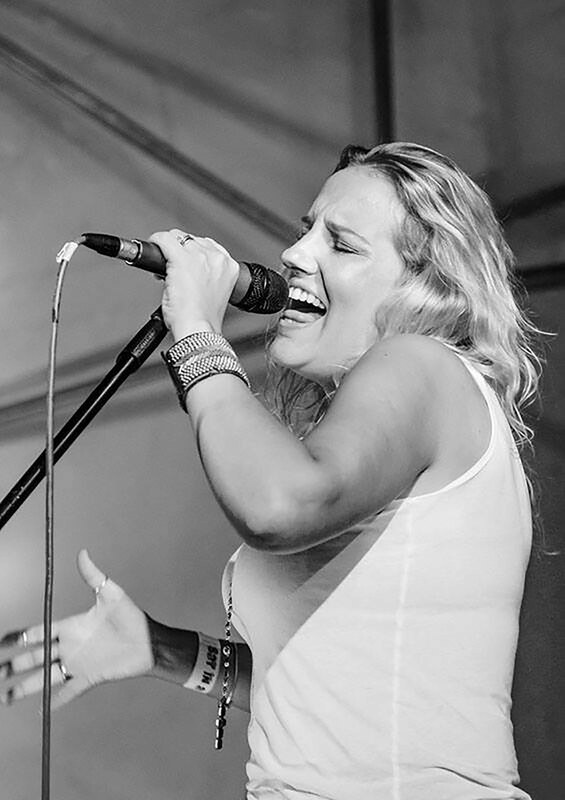 Gemma’s superb vocals are guaranteed to get the performance into top gear. She’s capably supported by the high-energy powerhouse of a band that really makes their music cook. The regular Funk Machine repertoire showcases a nicely-balanced selection from the past five decades, with iconic all-time classics such as ‘Fell In Love With A Boy’, ‘Billie Jean’, ‘Superstition’ and ‘Respect’. Funky bass, tasty keyboards and stomping drums complete the line-up – but listen out for the occasional flute solo thrown in for good measure. 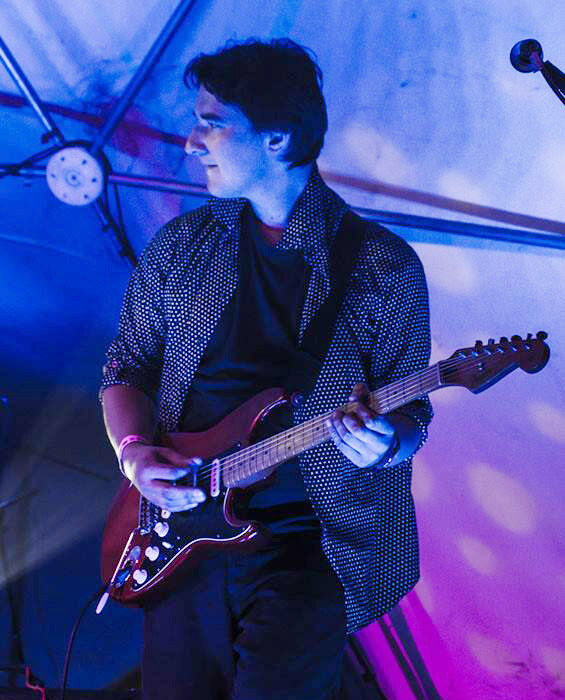 Funk Machine’s well-craftedarrangements of old favourites will have the dancefloor full in no time at all. 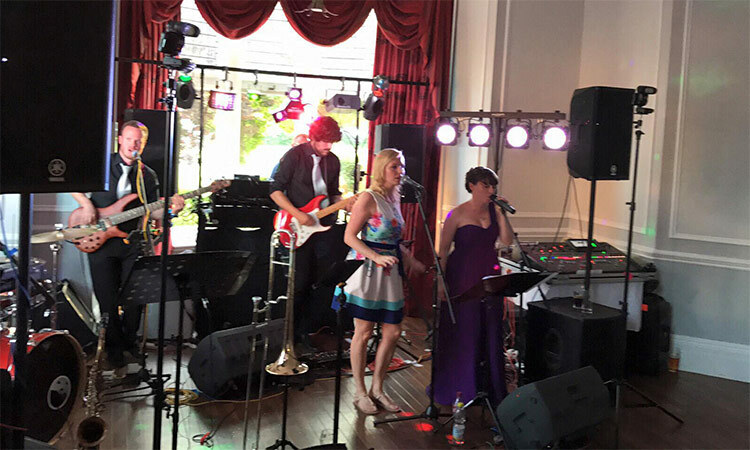 The band carries a high-quality PA system that produces superb sound in venues of all sizes. Full atmospheric lighting for both the stage and the dancefloor is also part of the standard Funk Machine package, creating a party vibe and setting the scene for a great night’s entertainment. Let your hair down and party on till dawn with Funk Machine! Thank you and the band so much for putting on a brilliant night at our wedding at Polhawn Fort, 16th May.All our guests had a fantastic dance, thanks to you guys. Just to say thank you for the great job you did playing at our wedding reception. The music was fantastic and many people commented on how good the band was. We also really appreciated the way you very quietly set up and got going despite the chaos surrounding you! We will definitely recommend you. Just wanted to say how amazing you guys were last night – even better than we remembered! Have had so many people tell us how much they enjoyed the music at our wedding and we loved the performance. I looked up at one point to see all my friends and family with huge grins on their faces, dancing around us, which just made the evening exactly as we wanted!